Stacy (not her real name) is the HR leader of a Singapore-founded company with operations in four Southeast Asia markets, and a total workforce of more than 500 people. Her responses to the Elementrix and HRM Asia Thriving in a World of Digital Learning survey in June were typical of the wider national population – and she later shared with HRM Magazine Asia some of her frustrations with the process of implementing new learning technology at the enterprise level. The Thriving in a World of Digital Learning research was conducted under the supervision and advice of Professor Keith Houghton, Senior Academic Research Strategist with Research Coaching Australia. He assisted with the survey design, response analysis, and insight development of this report. The survey was distributed to a selection of HRM Magazine Asia readers via the HRM Asia website, its Daily Dispatch newsletter, and through direct email over a three-week campaign in June this year. After controls for position and company size, a total of 116 qualifying responses were received. “I know options like video and micro-learning are where the industry is heading, but that will require a wide-scale transformation of the entire organisation,” she said. Yet change – as Stacy and the majority of respondents to the study agree – is the only strategy that makes sense. Technology-led innovations, including gamification, micro-learning, and even augmented and virtual reality tools, are set to redefine what an effective training experience is, throwing out many of the benchmarks that organisations currently base their traditional efforts against. George Aveling, “Chief re-imagineer” for Elementrix, says this was one of the key drivers behind the research. “We sense a growing urgency in the learning and development community around the world to ‘get into’ digital learning,” he notes. He says the study aims to fill this knowledge gap using reliable data and analysis, and through that, will further strengthen the learning and development community in Singapore. 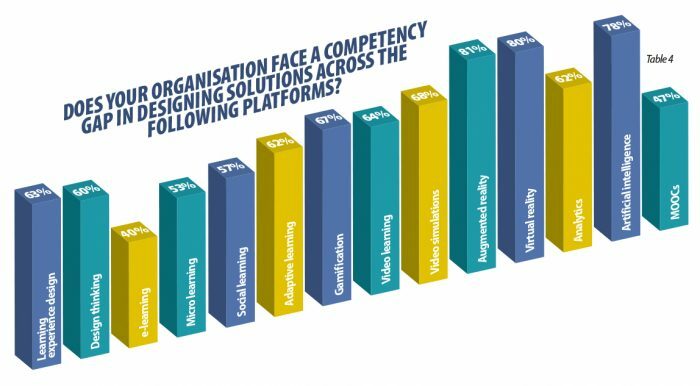 The vast majority of survey respondents indicated they expected their organisations to expand their use of digital learning over the coming 12 months. That might be expected, but it is important to note that this growth will come from a relatively low base of current usage (see: Table 1, below). 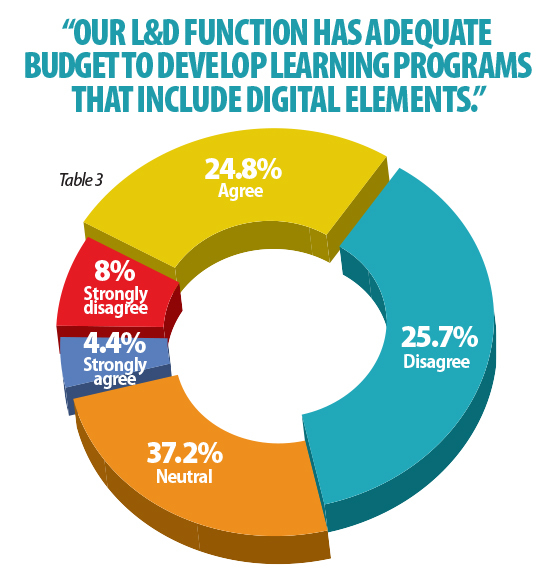 Asked to what extent current learning and development programmes already featured digital elements, almost half of the survey population (44%) said these options had little to zero influence over their current learning strategy. At the other end of the scale, less than 1% of the respondents were from companies where digital had “completely” taken over the learning function. Contrast that with the expected vision for in 12 months’ time and you’ll see a significant movement to the right of the graph. 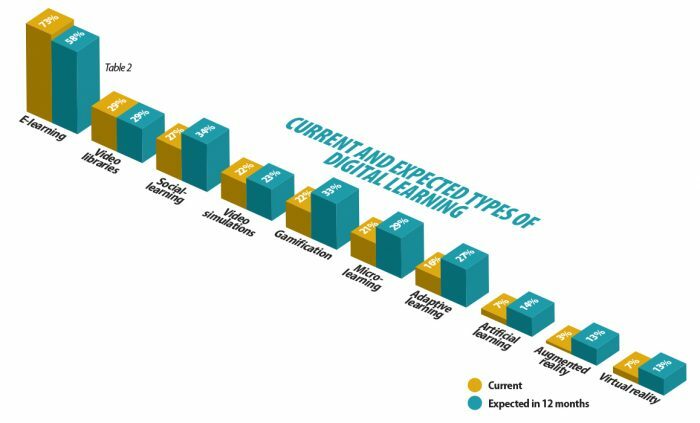 Only 16.9% of respondents expect to face little or no digital elements in their learning programmes, while 6.5% expect these tools to make up 100% of their learning programme by this time in 2019. Another of the issues identified through the survey was the broad notion of digital learning today, and the many different elements that it consists of. While basic e-learning initiatives have been leveraged on for some time now, the future of digital learning includes much more than this alone: social learning, gamification, libraries of video content, artificial intelligence, augmented reality, and video simulations are all expected to play a role. But many learning professionals have had difficulty analysing which of these, if any, or indeed which combination, would be best for their organisation and situation. After all, a single learning and development programme could combine many or just one or two of these, and still be an effective intervention. This dilemma was highlighted in the research, which asked respondents to list the elements their organisations were currently utilising, and those that they expected to be using within the next 12 months. The expected change in just the next year (see: Table 2) is nothing short of dramatic. While currently e-learning is utilised by 73% of the HR professionals surveyed, that figure drops down to 58% over the coming year. The shortfall is then spread over several different digital learning options, with all of the other listed tools seeing an expected increase over 2019, some by as much as 10 percentage points. Social learning – where skills are developed through groups of colleagues discussing topics and uploading, sharing, and liking content – is expected to overtake video libraries as the second-most frequently-used element. But it is just one of six options that are each expected to be incorporated into between 23% and 34% of learning programmes next year. But the reality of digital implementation may still hold some of those expectations back. This is because there remains a significant skills gap between this new digital direction that the majority of surveyed HR professionals expect their organisations to embark on, and the digital competencies of those leading the change. Take any one of 14 digital learning options for organisations to consider, and at least 40% of the research population believed their organisation does not have the in-house skills to effectively implement the solution (see: Table 4). That rises to as much as 81% for the more advanced options, such as learning via augmented reality interventions. Aveling says this represents both a challenge and an opportunity for learning teams in Singapore. “The organisations that develop competency to design engaging learning experiences will develop a first-mover advantage over their competitors,” he said. Another potential roadblock for some organisations is securing adequate budgets for new digital learning initiatives. As Stacy noted in the opening to this excerpt, many of the options represent a significant turn away from traditional learning methods. These may well have been delivering quite reasonable – or even above average – learning outcomes for many years, leaving functional leaders with the task of having to fix something that doesn’t appear broken. Still, it is a potential issue for fewer than half (33.7%) of the HR professionals surveyed. 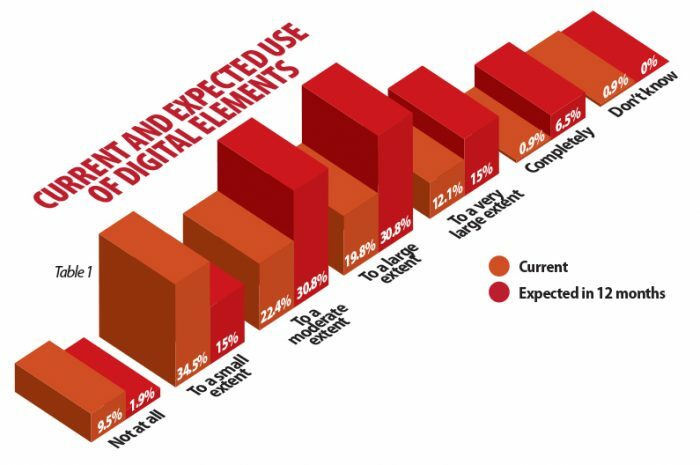 Most believed their organisations already had adequate budgetary capacity to incorporate digital elements in their learning and development programmes, with the normal distribution highlighted by the survey skewed only slightly toward the negative side (see: Table 3). A much bigger issue is the measurement of outcomes, and translating that into an expected return on investment (ROI) that holds well against traditional learning methods. The research asked respondents about their level of satisfaction – in terms of learning outcomes – from their learning programmes that incorporated at least some digital element, and found the population either did not know, or did not have strongly-held views. Aveling says this result is understandable. “Organisations traditionally do not measure ROI from Learning and Development at the business impact level,” he said. Compounding this issue is the lack of hard data to provide evidence of ROI. 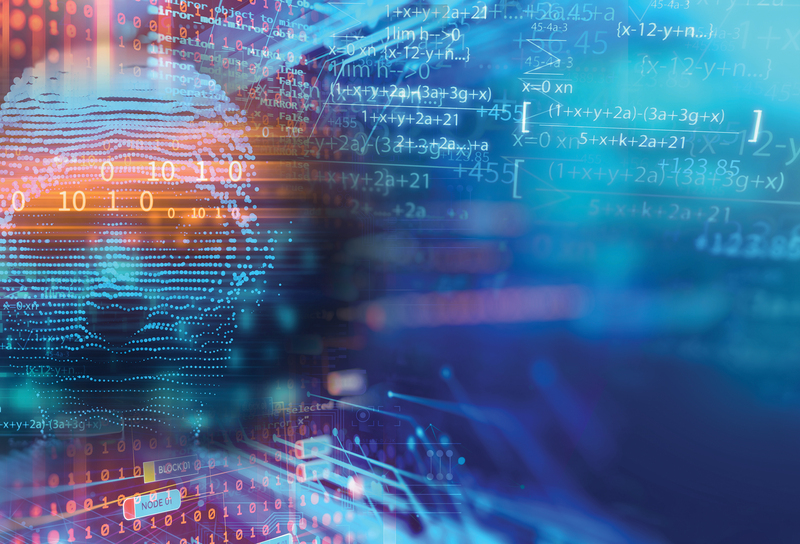 In a fast-changing and uncertain environment, that has meant senior leadership teams across Singapore organisations have been unable to support significant increases in digital learning budgets: “This level of precision does not exist at present,” Aveling notes. 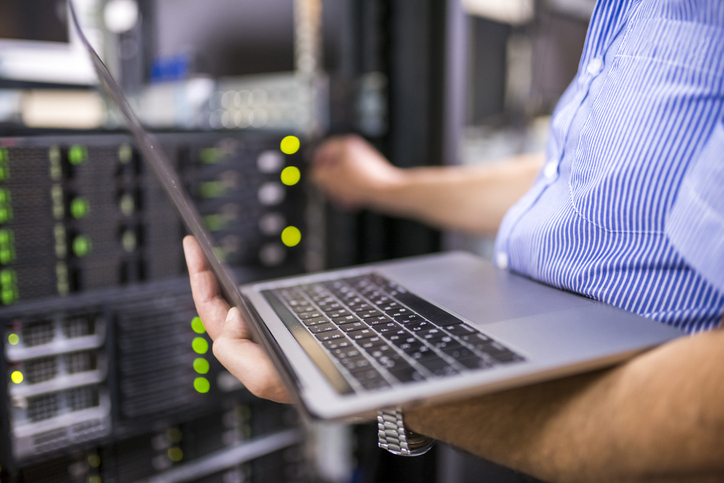 While there are some at the top end of learning and development teams reticent to fully embrace digital learning options, there are also similar problems with the end-users of many interventions. 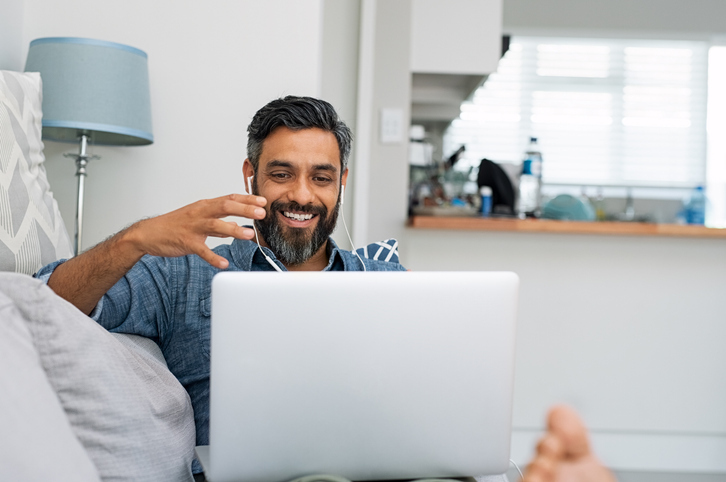 The Thriving in a World of Digital Learning research found that learner motivation for digital training was much lower than many might have expected. Over 60% of the survey respondents said the engagement of employees with existing digital learning methods was either “low” or “medium”; just 14% found a “high” level of motivation across their workforce. Aveling says this will be a key metric to watch in future research, and may be the result of a power shift toward the learner – they can now pick and choose the content and platforms that most appeal, with many rejecting opportunities that don’t meet their expectations. The relatively low skills in technology application and learning experience design among HR teams (as discussed above) is likely exacerbating this issue, he said. Likewise, the ongoing conflict between learning programmes and the need for staff to pay attention to their own work and KPIs may also be playing a part. The Thriving in a World of Digital Learning was conceived and developed by Malaysia-based business consultancy Elementrix, with support and input from HRM Asia and Smart Up. Research Coaching Australia provided statistical expertise in both the survey generation and analysis stages. George Aveling, “Chief Reimagineer” of Elementrix thanked each of the survey participants in Singapore.